Can you use a larger jewelry box that is also a vanity? Then meet “Jules,” a stylish jewelry armoire vanity. Talk about storage! I’ve always wanted to create a “Family Established & the Year” sign. Do you know the ones I’m talking about? After finding this cool old wooden tray at the thrift store, I decided to create a colorful family tray. Excuses, excuses…but hear me out. I have a good excuse for not keeping my blog current: we moved! After living in Southern California for 35 years, we retired, and moved back to Northern California, where it all began. That’s the short story. 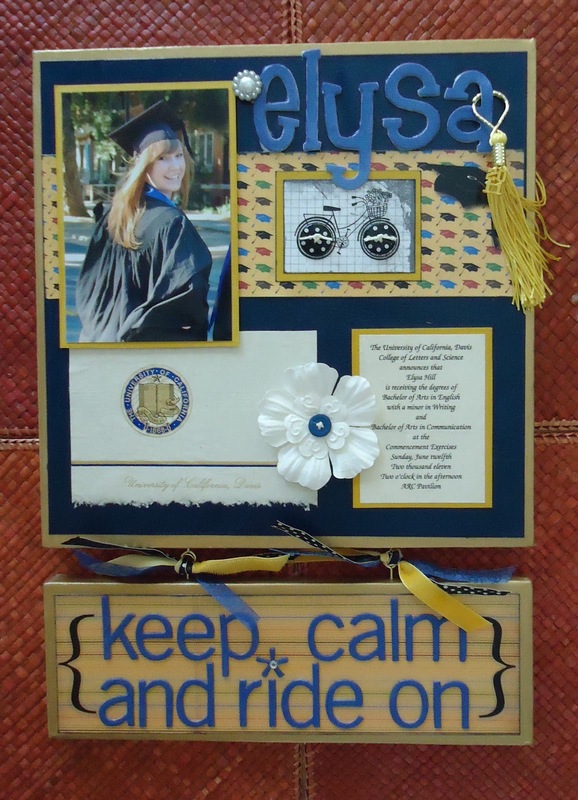 Just in time for graduation, I thought I would share one of my post popular posts: a tutorial on creating a one-of-a-kind wall canvas for your graduate. Click here to take you to my original post at The Altered Flea. Next week brings many families and friends together. My family celebrates Passover, where we retell the Exodus story with blessings songs and specially-prepared food. 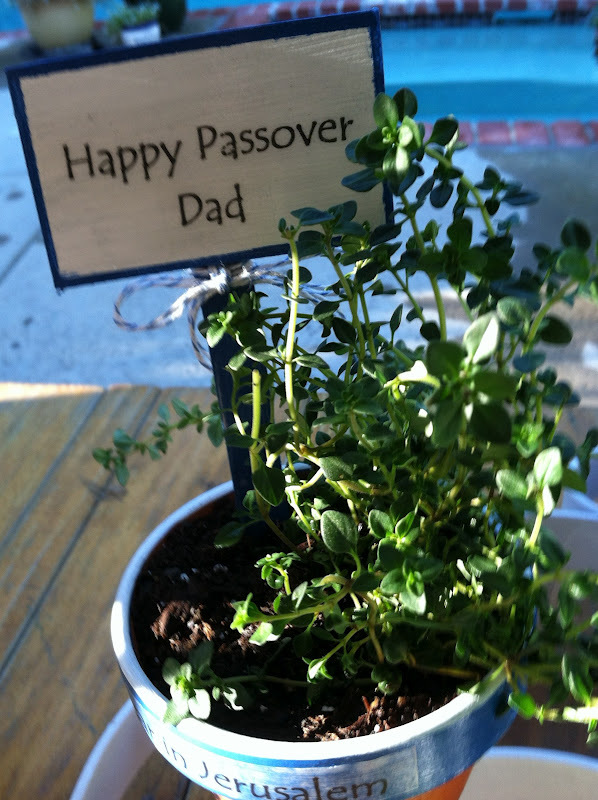 When we were kids, my parents invited many friends and relatives to join us for the seder. My chief responsibility was creating placecards – which I took very seriously. 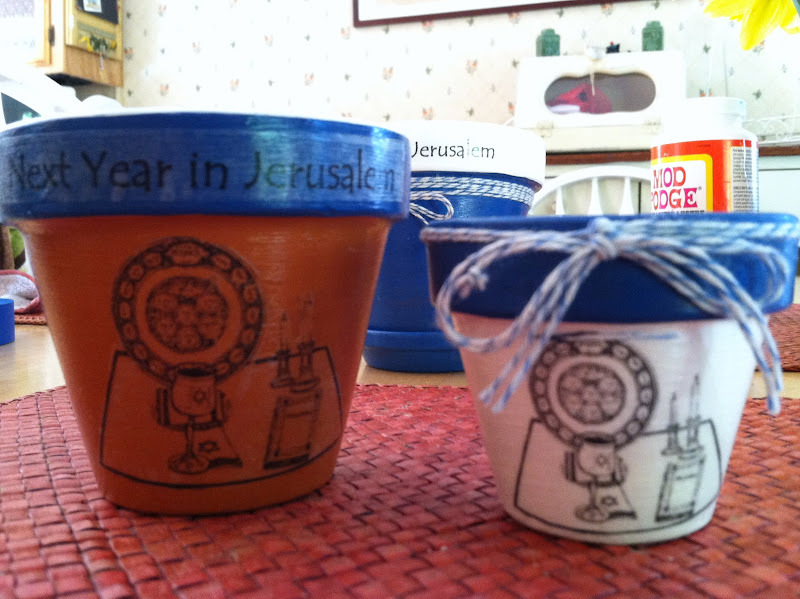 This year, I decided to rekindle my very important job, and make place “cards” using small terra cotta pots. I painted the three pots in different blue & white combinations, and added pictures and text which I had printed out on clear sticker paper. 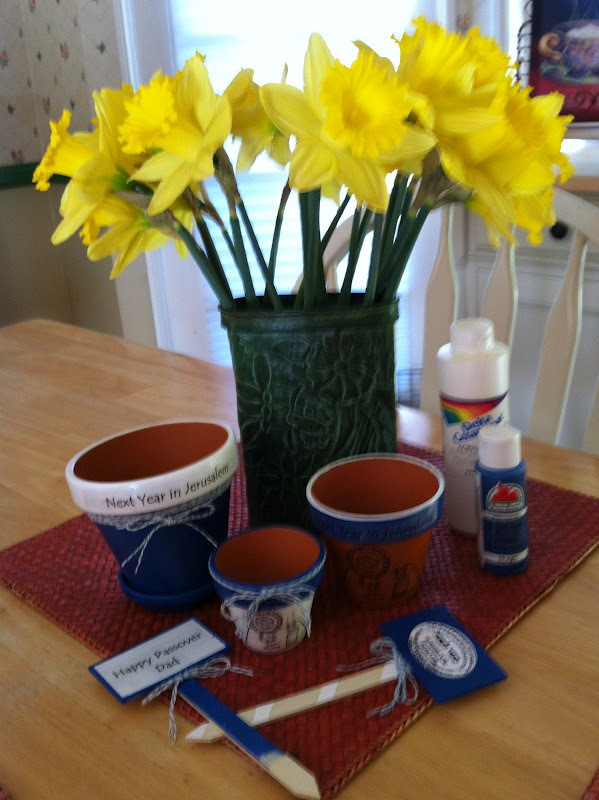 After coating each pot with decoupage, I wrapped blue and white baker’s twine around the pots. 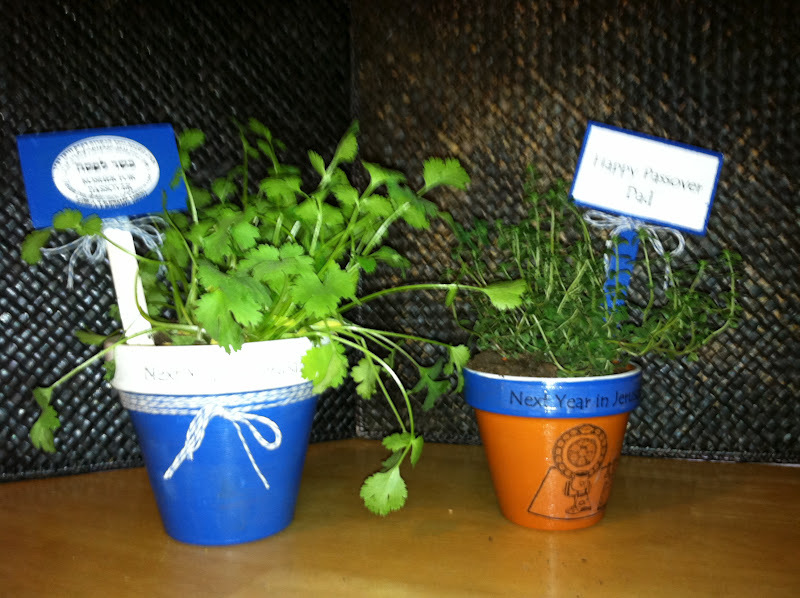 I printed names on white card stock, and glued the cards onto wooden plant markers painted blue. 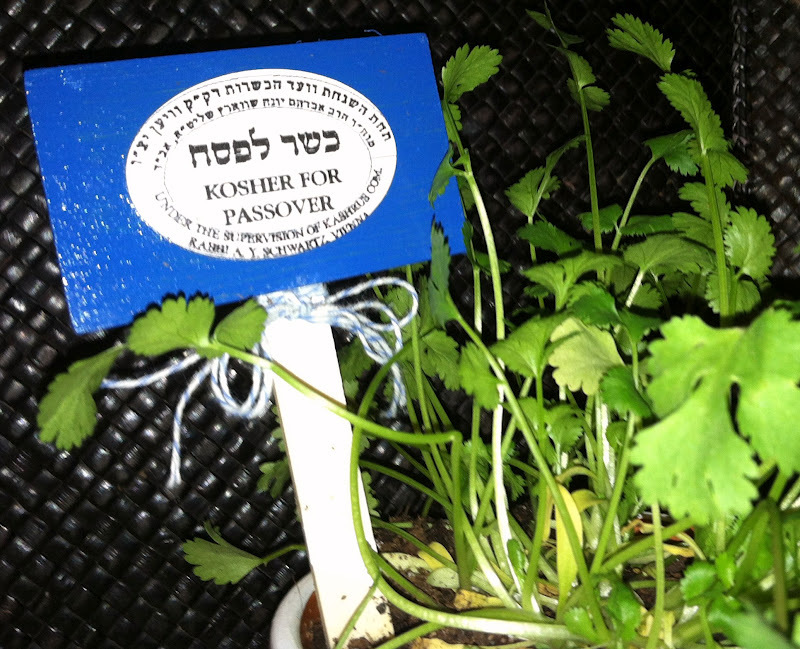 A green herb (such as parsley or cilantro) is used on the Passover table to symbolize spring. So I planted herbs in each pot. 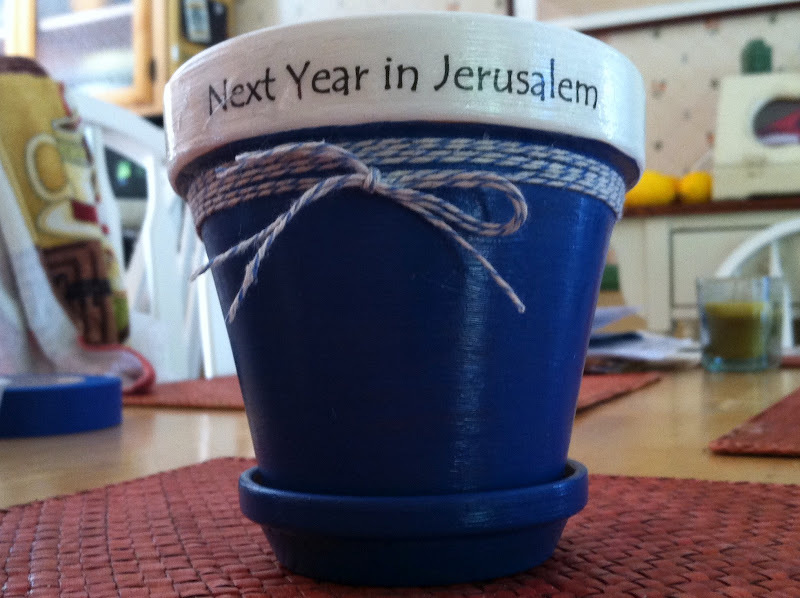 I’m going to use the largest pot as a centerpiece, so I made a label that reads “Kosher for Passover”. Everyone gets their own pot with spring greens. I bought this vintage humidor cabinet a few months ago. I like all the detail on the legs and cabinet door. I was pleasantly surprised when I opened the door and found the copper interior. It’s a humidor cabinet, used for storing cigars.